Maybe you're thinking of jetting off for a few weeks to foreign shores and you've been told about this fantastic new website that sells flights and holidays for really inexpensive prices. Is it too good to be true? Well, as with anything that seems too good to be true - it very probably is. However that's not to say that there aren't loads of great deals out there - you just need to make sure that you research each one carefully. Some of these deals have horribly restrictive conditions, and if you book the wrong deal and realise afterwards you might not be able to get your money back. So before you go making your mind up, getting your credit card out and clicking the ‘confirm’ button, check the small print. Often what happens when you see a great offer somewhere is that there are heavy restrictions on it. A lot of the time these type of deals are really just marketing gimmicks for the company involved - once they get you onto the website they are hoping that you'll end up so excited by all the exotic destinations that you'll book a flight anyway and forget the fact that you're spending £500 more than you initially meant to! The biggest restrictions tend to be around destination and the dates of the flight. People see a banner proclaiming '£99 flights!' and think they’ll be jetting off to see New York, Las Vegas or Sydney by the end of the week. Sadly when they head off excitedly to the website, they find the only places that they can fly to for £99 are out in the back of beyond that no-one in their right mind would want to visit anyway – who knew they even had an airport there? Alternatively, they might be lucky enough to track down a £99 flight to New York – and then find it's only available in the coldest part of the year, to an ‘out of town’ airport, and both flights are red-eyes - travelling through the night. Either that or you can get out there for £99 but the cheapest return flight within a month is £799. Cheap flights aren’t always a con or a bad deal though. They can be great if you just want to get away- and if you're flexible on your location and your dates you could easily score a great deal that will save you loads of cash. Before you go ahead and book anything, you really need to double check your details and make sure that you read what the quote says carefully. Even if you’ve put in that 2 people are travelling, check that the price isn’t ‘per person’. Booking sites do this because it looks like an unrealistically low price for 2 people – because it is. But people see the total, and go ahead and book – only to realise that it’s only one place that they’ve booked – and it’s a non-refundable flight. If you’ve taken the plunge and chosen your £32 return flights to Dublin, it can be confusing as to how your total comes to over £200 for just the two of you. This is because of the extras that are added on. Check the quote thoroughly and you’ll find something like £32 x 2 for return flights and £140 in ‘Taxes, fees and charges’. So while the seats on the plane are cheap, the actual trip isn’t so much. It’s estimated that most people who make a booking after seeing a low-cost quote pay on average a minimum of 30% more than they thought they would and it’s not surprising when you see what turns up on the bill. 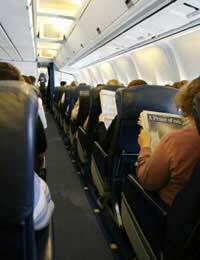 Often the ‘charges’ encompass unavoidable taxes imposed by the airports and airlines, however there are several charges that may be optional, e.g. £20.00 per bag placed in the hold, £10 per person for an in-flight meal, and even £4 per person to use the check in desk. It’s worth checking what happens if you miss your flight or are delayed – as if you are late due to an error on your part, in some cases the airline won’t put you on another flight unless you pay for it. When you get off the plane, how are you getting to your accommodation? Don’t assume transfers are included, as with cheap flights they very rarely are and you don’t want to realise that when you’re in a strange country with no idea how to get to your hotel. Usually tucked in somewhere discreet, the travel insurance box is usually pre-checked in the hope that you won’t notice it. If you have it already, uncheck it – and if you don’t, shop around – you’ll probably find it cheaper elsewhere. Flights booked online are usually non-refundable and non-transferable, so make sure you check the small print and know what you’re being charged for before you click ‘Confirm’ or it might end up being much more expensive than you realised!